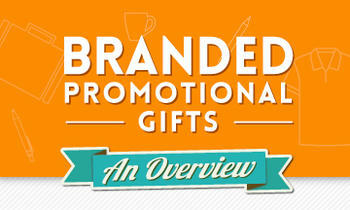 Branded Corporate Gifts to Grow Your Business From Good to The Best! If you're struggling to make your business grow, this infographic can be of great help to you. The infographic “ Corporate Gifts and Why You Should Give Them” is especially designed with the in-depth knowledge of branded corporate gifting prevailing as the primary form of marketing and how can use this method to your benefit. Did you know that 80% of businesses fail each year? And the most important reason behind these many businesses failing each year lies in the marketing & representation of your brand or the product. Marketing is the key element of all the businesses and there are many ways to market your business. However, if there is one form of marketing which has always lead your brand in the most impactful way; it’s marketing with Corporate Gifts. You can use this unique marketing method to leave an ever-lasting impact on your clients; your employees and your service providers. It will help you keep your brand’s name imprinted in the mind of the people you were associated with at any time of your business. These gifts when given on proper timing- such as exhibitions, trade shows, business campaigns and festive occasions enhances your brand value and serves as a gesture of appreciation and to convey that this relationship matters. It helps you generate brand awareness and maintain customer loyalty. It’s proven that, these branded gifts generate greater recall as compared to other forms of marketing. No doubt, this infographic will help you make your brand go “from good to the best”.